UPDATE MARCH 2019 - We have sufficient workawayers until the middle of May. Thank you for your interest. 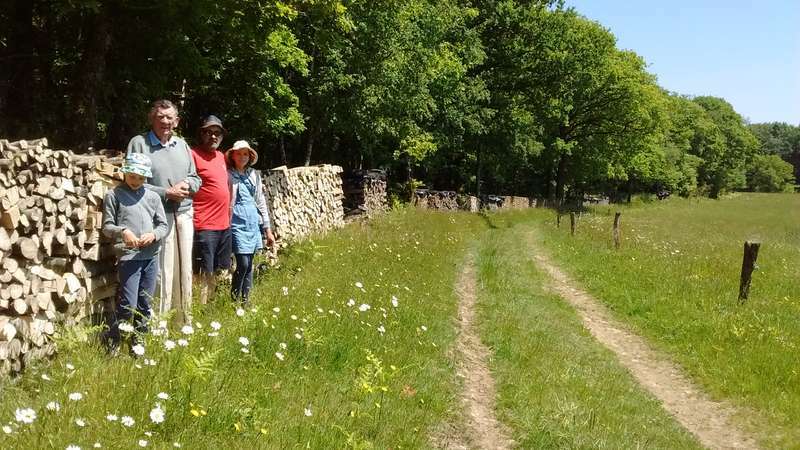 We are: Dominic (48), Rose (46), Sylvie (13) and William (11) and we are accustomed to simple living, healthy eating, exercise and working outdoors. 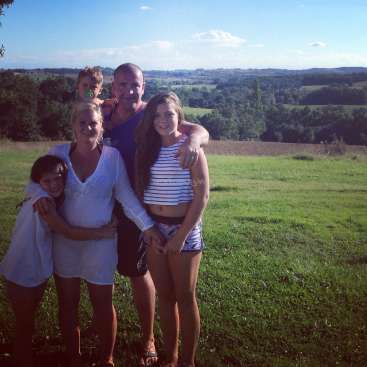 We are an energetic and adventurous English Francophile family. 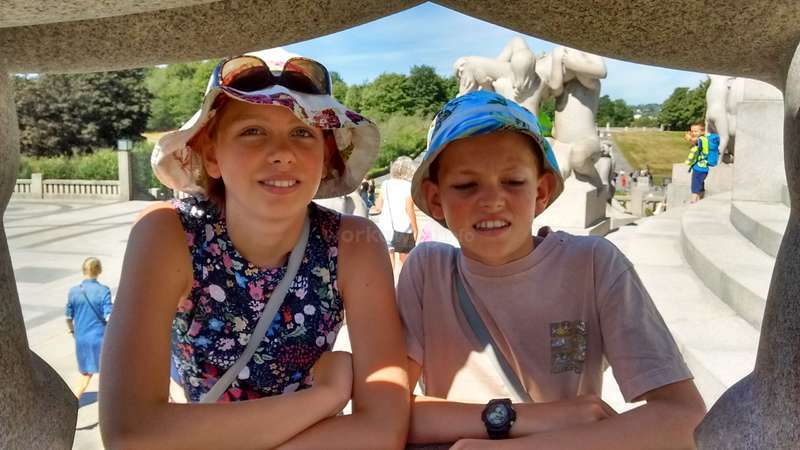 Dominic is completely bilingual, Rose’s French is sufficient for day-to-day interaction and the children are learning. 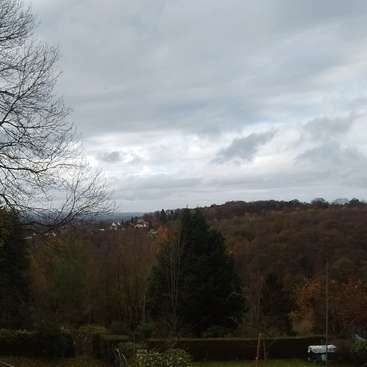 We now live in Mortain, a small town in beautiful rural Normandy, but up until Autumn 2016 we were living in Cornwall in England. If you want to know more about us and our skills then I suggest you read our own workawayer profile and I can save this space to give details of the host opportunity we are offering. With our new life also comes new challenges and work to be done … So as well as liking to meet new people and share experiences we also welcome extra hands to help us with our projects. We have two properties with which we need assistance. 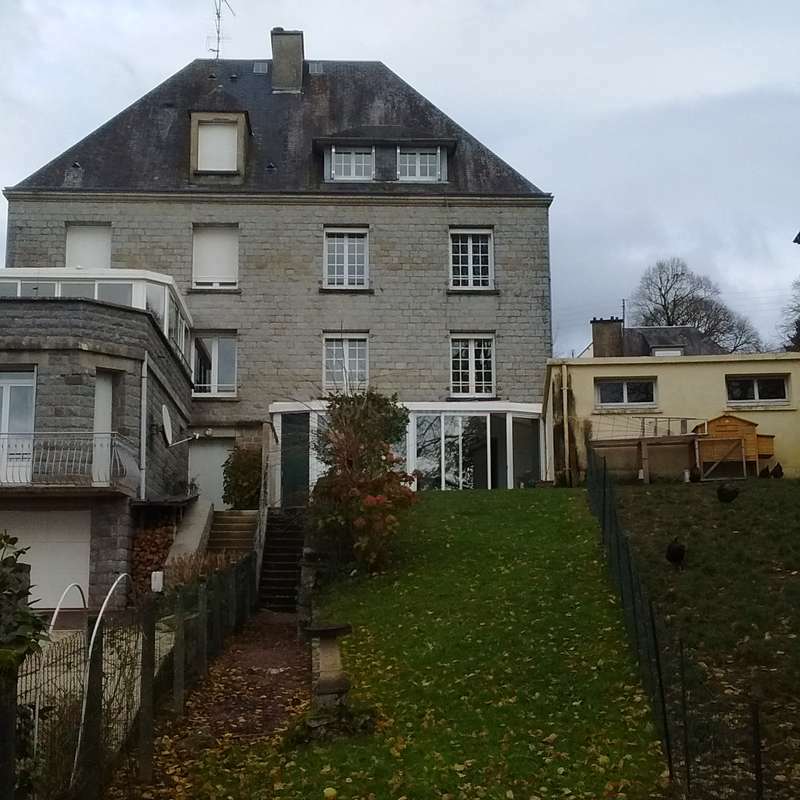 A house in town (well more of a village actually) which is comfortably furnished with a large garden. And a farmhouse (which is a significant renovation project), barns and vegetable garden a few kilometres out of town. Help around the townhouse is for day-to-day stuff – cleaning, gardening, decorating. 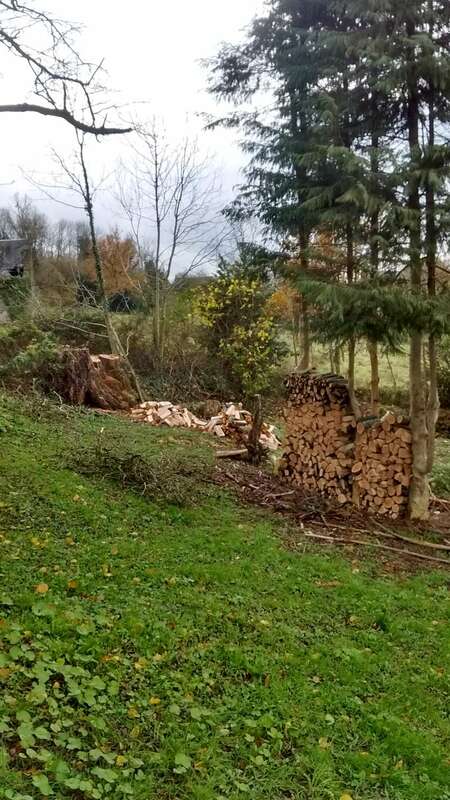 Help at the farmhouse is more challenging and varied and could include – tree felling and firewood processing, landscaping, building, gardening, eco-construction, etc. We have 5 hens which provide us with fresh eggs and we also keep bees and have 10 years experience. Active beekeeping work takes place in the Spring and Summer but Winter is a time for maintenance and preparation of all our equipment. 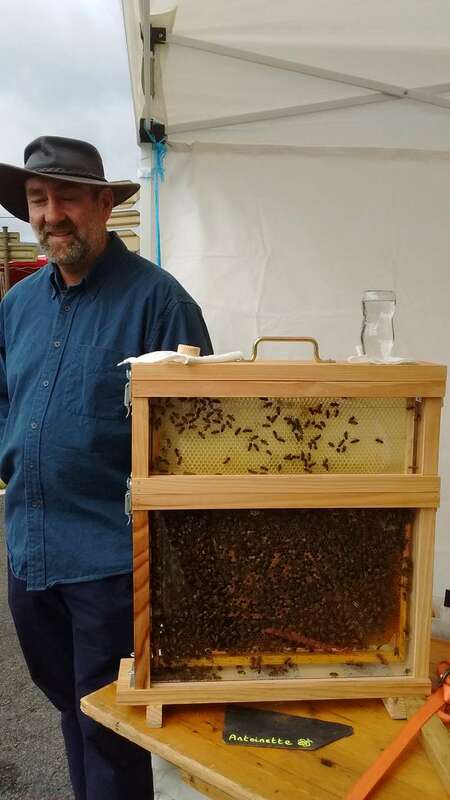 We love to teach people about beekeeping. 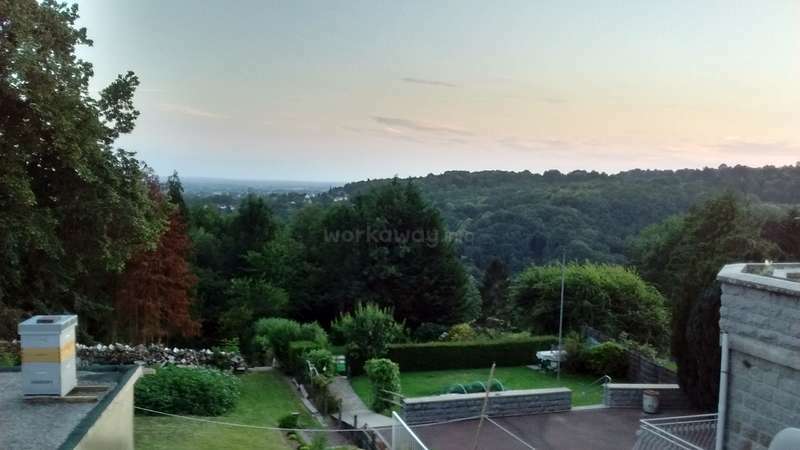 Mortain is a typical small quiet Normandy town in the heart of the bocage. The town is well serviced in that it has small shops and supermarkets as well as schools, doctors, library, etc. Community events often take place and we socialise at home with friends but there is no social scene or nightlife. 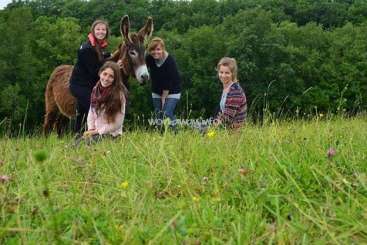 It is an ideal base for nature lovers with plenty of access to the countryside. 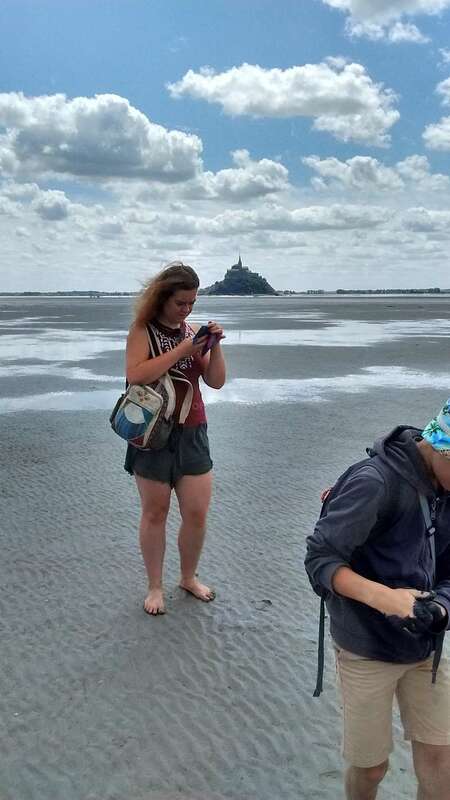 We are only 40 minutes from the coast and the Baie of Mont Saint Michel. Workawayers should expect to feel included and well cared for while they are staying with us. Our aim is to integrate visitors into our family life and help them get the most out of the experience based on their own needs. Certainly, it is a good opportunity to improve English and French and also to acquire practical skills. It is important to us that workawayers are offered good quality accommodation. You can expect to be kept warm and comfortable and be well fed in conditions that are suitable for the time of year and weather conditions. The opportunity we offer would be suitable for a single workawayer or a couple. We are open minded to welcoming families but parents would have to be able to accommodate the child(ren) within their own bedroom and think about how their child(ren) would integrate with our own. We would like to host workawayers between our own trips and visiting guests. Our ideal candidate(s) would want to stay with us for a minimum of two weeks as we feel this is the time needed to get into good working patterns together and for the workawayer and host to get the most out of the experience. But we are flexible and open minded. 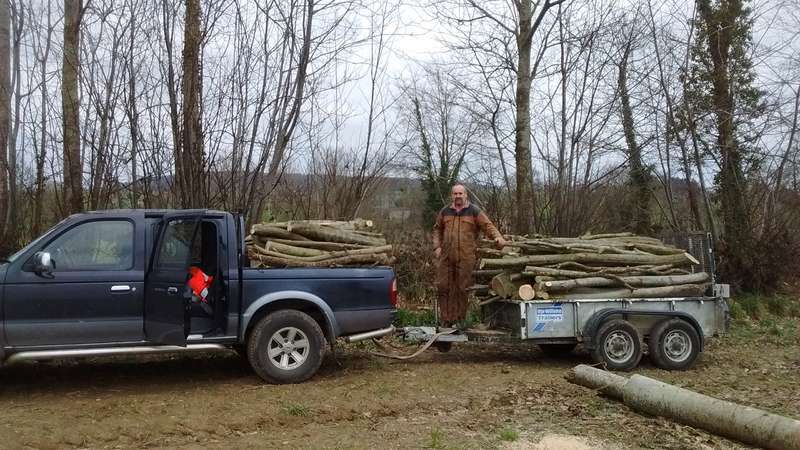 There are lots of projects on the go but at the moment we have quite significant amounts of firewood to be processed and work in the vegetable garden. We operate a no-dig organic gardening policy and we are expanding our production as quickly and as much as possible. The beekeeping season reaches its peak in April/May/June but there are maintenance jobs to be done at other times. All the work we offer is healthy and rewarding and Dom is very experienced. There will be lots of learning opportunities for the workawayer but at times it can be hard physical work. It is best suited to someone who is robust, happy to work outdoors in all weathers and with a healthy but unfussy appetite. Don't worry, we provide plenty of good quality home cooked food to feed hungry workers. There are also sections of the townhouse which require redecorating and deep-cleaning. This might be best suited to a workawayer who is not quite so keen to be outdoors all the time and wants to do less heavy work. 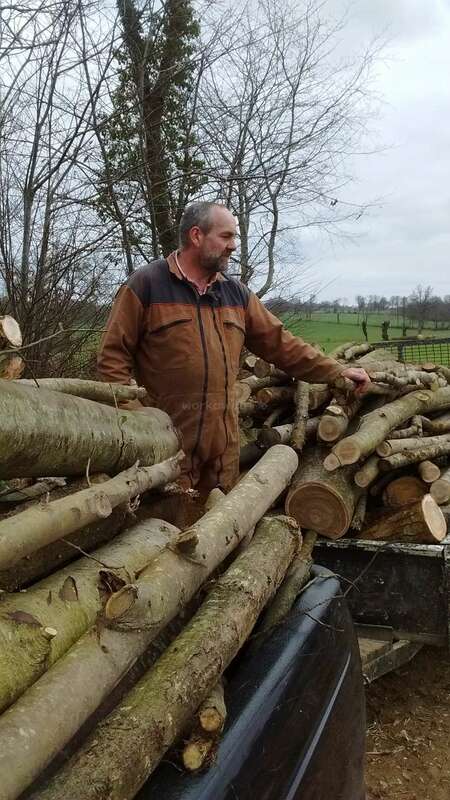 That having been said firewood processing is often a family affair (many hands make light work) and there are tasks to suit all levels of strength and ability. Lots of the work we have to do is done together as we enjoy the sense of family unity and achievement this brings and we envisage that most workaway tasks will be undertaken in partnership with us and you will not be expected to work alone. Therefore, this opportunity will suit workawayers who are keen to interact with us to improve their practical and language skills (in French and English) and for social/cultural exchange. It would not perhaps suit a person/couple who want autonomy and peace and quiet. We find that discussion and openness are the principle factors in managing expectations and making sure both hosts and workawayers have their needs met. So we ask our workawayers to please feel free to ask questions, express opinions and discuss concerns as soon as they arise. You will be expected to work a maximum of 25 hours per week. It is unlikely that this will be 5/5 as the weather and other factors often force a pattern of more intensive periods of work interspersed with leisure days. We will be able to discuss and agree working patterns in advance and adapt these as we go along. Also, less working hours are to be expected over holiday periods and you will certainly not be expected to work when we are not. In exchange, we offer a lively family atmosphere and an active exchange of ideas with others. All your meals will be provided and you will have warm, clean and comfortable accommodation. You will be made to feel welcome and part of our family for the time you are with us. We will include you in our family activities (which are mainly free and primarily involve going out for long country walks) or you can spend your free time as you choose independently. We want all our workawayers to leave us feeling positive about their experience. There is a certain amount of flexibility about the accommodation we offer. In the townhouse we offer a comfortable double bedroom with independent bathroom (and this would be the usual room on offer). During the summer months we can offer a caravan at the farmhouse or a pitch for your own van or tent. Please ask about the accommodation available at the time you hope to visit and discuss your preferences with us. Meals are usually taken with the family but there would also be some scope for you to do your own thing or to cook for us. We eat a varied and interesting diet which is rich in garden produce but also contains, meat, dairy, fish and some cheap treats. We adults do like a glass of wine, cider or the local speciality poiré. Whilst we aim to be flexible with dietary requirements, catering for vegans or vegetarians is difficult to weave into our regular meals and I feel a vegetarian workawayer would have a less inclusive and enjoyable experience. We are non-smokers and we have children. Understandably therefore, no smoking is permitted anywhere on our property (inside or out) and we do not tolerate any drug taking. There is a good WiFi connection and we have a landline telephone which can be used by workawayers under certain conditions. We have UK Freesat TV in the main family living room and you would be welcome to watch our choices with us but we manage this content in relation to what we think is in our children’s best interests. We can also make a television unit and DVD player available for your own private use in your bedroom. 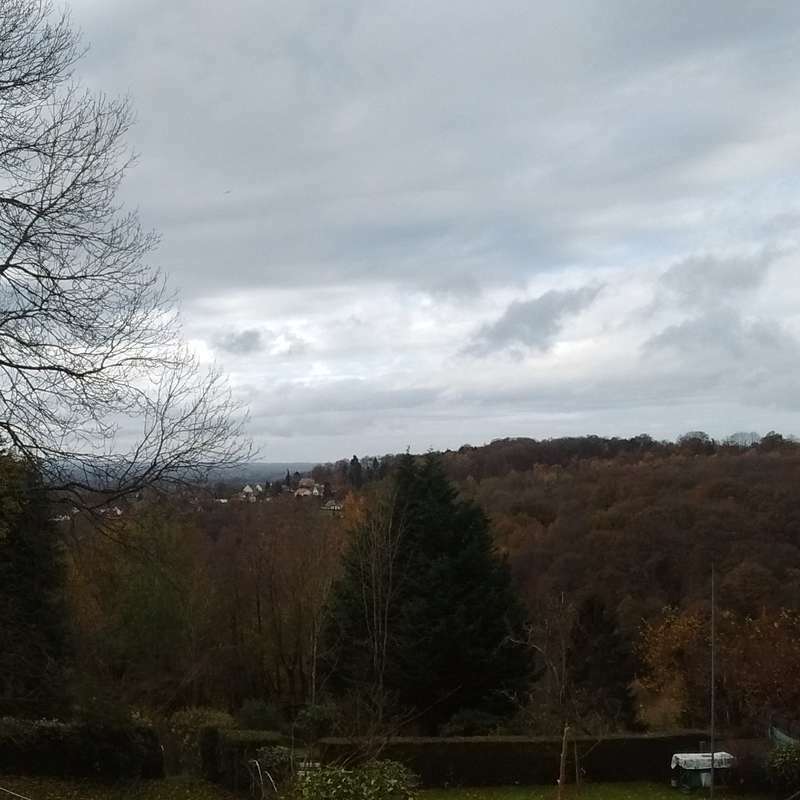 Public transport links to Mortain are reasonably good (for rural France) and if you think you will be reliant on public transport we suggest you do your own research in advance about whether this will meet your needs. 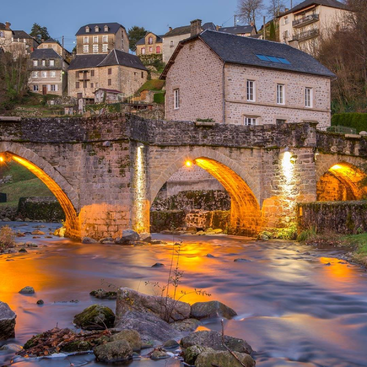 We can agree pick-up and drop-off from nearby stations (Vire, Caen, Rennes) or airports (Caen, Dinard, Rennes) at the start and end of your stay. Bicycles are available to you and we will include you in trips that we are taking ourselves if you wish to participate. However, if you wish to make the most of local attractions and places of interest (eg D-day landing beaches, Bayeux Tapestry) then you would be better with your own car. There is plenty of parking space for workawayers with their own vehicle. It was a delight to host Ilyse for Christmas. She was friendly, intelligent and easy going. She fitted into our family dynamic and spent time interacting with our children which was one of our main priorities. She coped with our quirks and habits and our lively and talkative natures. Unusually we planned to be at home for the school holidays and… read more did not have visiting family. We wanted to add something extra so that it wouldn't be just the four of us and Ilyse answered our posting. We didn't have high "work" requirements for the two weeks Ilyse was with us but she contributed to household chores and kept her own areas impeccably tidy. She spent time playing games with the kids, came on all our long walks and pitched in on her first day when we were in a frenzy preparing for our Pre-Christmas party for 44 guests. We did spend one long day working on firewood processing, Ilyse participated enthusiastically in this and with five pairs of hand working we got a lot done. I wouldn't hesitate to recommend Ilyse to other hosts and I wish her all the best for her continued adventures in travelling and education. It just goes to show that fate (with a little help from workaway) can send you just the right person at the right time. I hope Ilyse feels the same way and that we compensated for being so far away from her own family. We will keep in touch with her and hope she will visit us again. My time with Rose, Dom, Sylvie, and William was more than I ever thought it would be. I had the unique opportunity to spend the holidays with them, spending the time working a bit, hiking, playing cards with the kids and the family, and reading. It was nice to have a family dynamic for my holiday time and get the chance to help out. William and… read more Sylvie can talk, but everything they say is worth the listen. Very intelligent beings they are, the whole family is rather. They are packed full of historical, biological, and palatable knowledge and skills. The work I did for the family will most likely vary from that in the future. However, there is alway help needed with wood, which is the majority of the work that I did. Preparing wood to use for heating is always important. Although help in the garden or maintenance, perhaps, will come up as it inches away from the wintry months. Rose has made her profile very easy for those searching. With a thorough read and self-evaluation, you should know whether or not you will find their place a home for you. As Rose said, it is a small town, but as any small town, it has its own individual charm. I myself was won over by it, with its history, physical geography, and people. I was blessed with the chance to attend a party the family hosted and got the chance to meet many of the local people. It was one of the highlights of the trip, even though I cannot speak French. Thank you Rose, Dom, Sylvie, and William for such a lovely and memorable experience. I learned lots from all of you, and I know we will meet again!